John James Carroll was born at Glebe on 16 November 1890, son of John Carroll (d.1943) and his wife Bridget (d.1940), née Toohey. He died on 29 September 1957, aged 66, survived by his wife and family, and was buried as a Catholic in Botany Cemetery. Prior to his election as Alderman, John Carroll worked for the Council’s Assets Department as Clerk from 1909 to1915, Stationery Storekeeper from 1915 to1923, and Superintendent of Printing and Stationery from 1923 to 1924. He was Deputy Comptroller from 1924 to 1931 when he resigned. John James Carroll was elected Alderman for Flinders Ward, 3 December 1934 to 4 December 1953. He was a member and vice-chairman of the Finance Committee, 1949 and 1950. 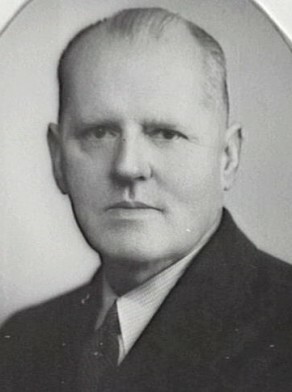 Carroll was Deputy Lord Mayor in 1949-50 and Council representative on the City of Sydney Eisteddfod Council, 1949-54. He was a member of the Finance Committee, 1935-53 and its Vice-Chairman, 1949-53; member of the Electricity Committee, 1935-42; the City Planning and Improvements Committee, 1936-53; the Markets Special Committee, 1943; the Works Committee, 1953; and the Health and Recreations Committee, 1953. Between 1939 and 1955 he was a member of the Metropolitan Water Sewerage and Drainage Board.